We have recently had the pleasure of working with Mr Rubble himself, creating a great new website to cope with increased customer demand. In 2001 Carl Brittain left ‘corporate life’ as Operations Director for a National Waste Company and started up on his own. With one truck, an innovative design for skips and about 15 years experience in the industry Mr RubbleSkip Hire was born. The company has grown quickly and is now proud to run 8 trucks all fitted with the latest technology and a new purpose built waste transfer station that opened in March 2006. 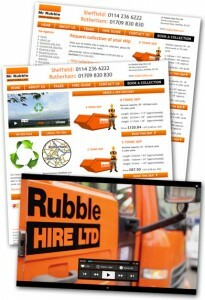 Mr Rubble is proud of his prompt deliveries and collections, competitive prices, and good quality low loading skips. As well as this Mr Rubble can proudly say that 93% of skip waste is recycled. Special thanks to Kieran and Rolande from Northshot – it was great working with you on the Mr Rubble Video! 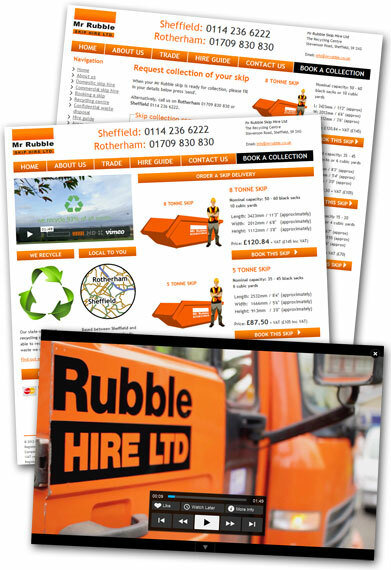 Visit Mrrubble.co.uk for more information, prices and online skip hire bookings, and don’t forget to take a look at the Mr Rubble Video.